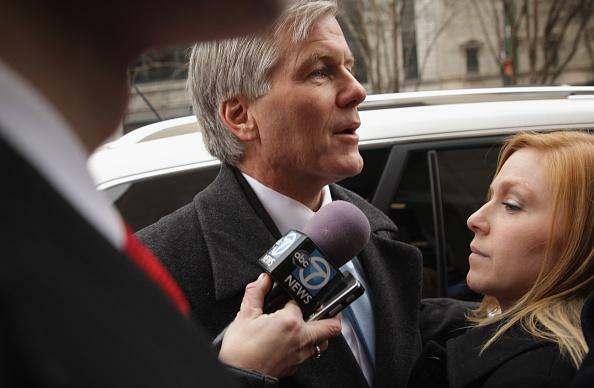 Bob McDonnell sentence: Two years in prison for former Virginia governor. Former Republican Virginia Gov. Bob McDonnell has been sentenced to two years in prison for his conviction on 11 counts of corruption, a verdict that the Washington Post calls a “win” for his defense team (though it’s more severe than the community-service time they’d asked for). A jury found unanimously that the couple used the governor’s office to help a wealthy dietary supplement company executive advance his business interests, and in exchange, the businessman gave the McDonnells $177,000 in loans, gifts and luxury goods. The businessman, Jonnie R. Williams Sr., testified against the McDonnells at trial in exchange for immunity from prosecution. Maureen McDonnell is scheduled to be sentenced Feb. 20.